This popular children's rhyme found its way over the decades into many autograph books, which held signatures of friends and family as well as poems, snippets of advice and illustrations. Those entries remind us of friends, school days and childhoods spent on playgrounds. Some autograph books are a bit more serious, holding signatures of the rich, famous, or about-to-be famous thespians, musicians, athletes, activists and politicians. The Chattanooga Public Library has a worthwhile collection of those books. The recording of autographs got started in Germany and Holland several hundred years ago, when graduating scholars asked professors and fellow students to sign their personal Bibles. The oldest autograph book on record belonged to Claude de Senarclens in 1545. Small bound books with blank pages began replacing bibles about that same time. Students kept the books and any correspondence as a form of scholarly affirmation as well as a simple address network. Women and men outside academia begin keeping autograph books in the 18th century. Those books peaked in popularity in the United States around the time of the Civil War and remained in vogue until the late 19th century, when school yearbooks replaced autograph books as a way of remembering friends and classmates. "If wisdom's ways you wisely seek, Five things observe with care, To whom you speak, Of whom you speak, And how, and when, and where." Your loving mother, C. T. Ingalls, De Smet, November 15, 1881." The Chattanooga Public Library Archives has several autograph albums in its archives. The Elizabeth Drake album includes notes on family events, including son Charley Drake McGuffy as well as his childhood progress. Louise West Oehmig (Mrs. John G. Burton) received an album from her mother in 1887, possibly as a birthday present for her 10th birthday. Her album holds illustrated pages that separate the autographs and wishes from friends and relatives. The autograph she was "privileged" to have in her book came from Varina Davis that same year. Varina, daughter of Jefferson Davis, was visiting Mrs. L. S. Colyar and Mrs. Shackleford in Chickamauga, Georgia, when Varina signed her book. Louise W. Oehmig Newell Burton gave the library her treasured autograph album, "hoping it may be of interest to someone,' in 1947, long before she died in 1970. Local fiber artist, quilter and author, Bets Ramsey, gave the library autographs of well-known children's authors, P. L. Travers and Carol Ryrie Brink, as well signatures of singer Irene Wicker and her pianist Allan Grant. No one knows how or when Ramsey obtained those autographs. Judith Jones, who had married into the Valentine family, donated in 2004 an interesting collection of autographs in an album. The Edward Kimble Valentine collection contains signatures dated from 1843 to 1916. Edward Valentine served as a U.S. representative from Nebraska, 1879 to 1885, and as Senate Sergeant-at-Arms from 1890 to 1893. While in Washington, he accumulated signatures of presidents, legislators, diplomats and other dignitaries. After he died, family members added the autographs of Dwight Eisenhower and Richard Nixon to the album. 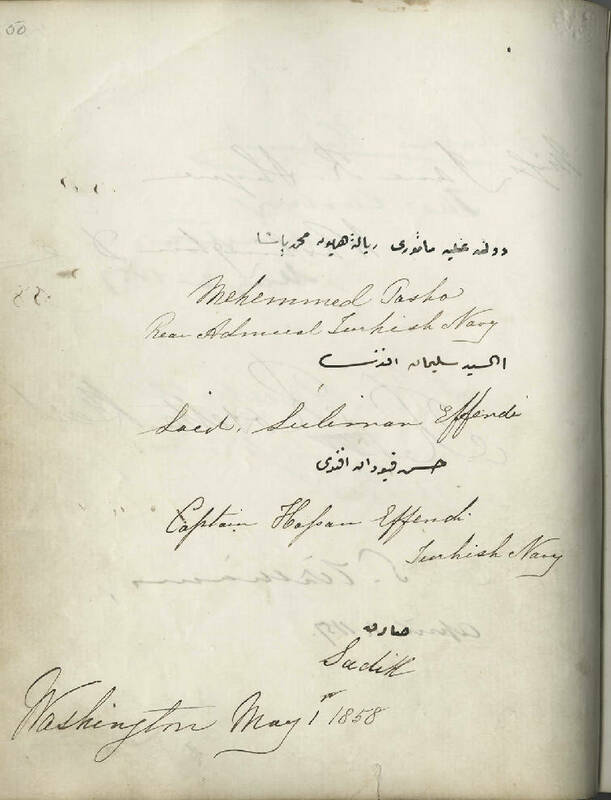 The collector of earlier autographs before Valentine's efforts is not known, but the signatures include Japanese envoys, Turkish diplomats, Spanish ambassadors and American congressmen. Also, Presidents Abraham Lincoln in 1861, Millard Fillmore in 1851, Franklin Pierce in 1852, U.S. Grant in 1870, and James Buchanan in 1858 signed the book. Others shown include Cornelius Vanderbilt, Daniel Webster, Sam Houston, Jefferson Davis and Mary Walker. The Valentine autograph album is a fascinating reminder of the movers and shakers in Washington, D.C., during the last half of the 19th century and the early years of the 20th. Each signature includes the date signed and the state or country of residence. Suzette Raney is an archivist at the local history department of the Chattanooga Public Library and can be reached at 423-643-7725. For more visit Chattahistoricalassoc.org.